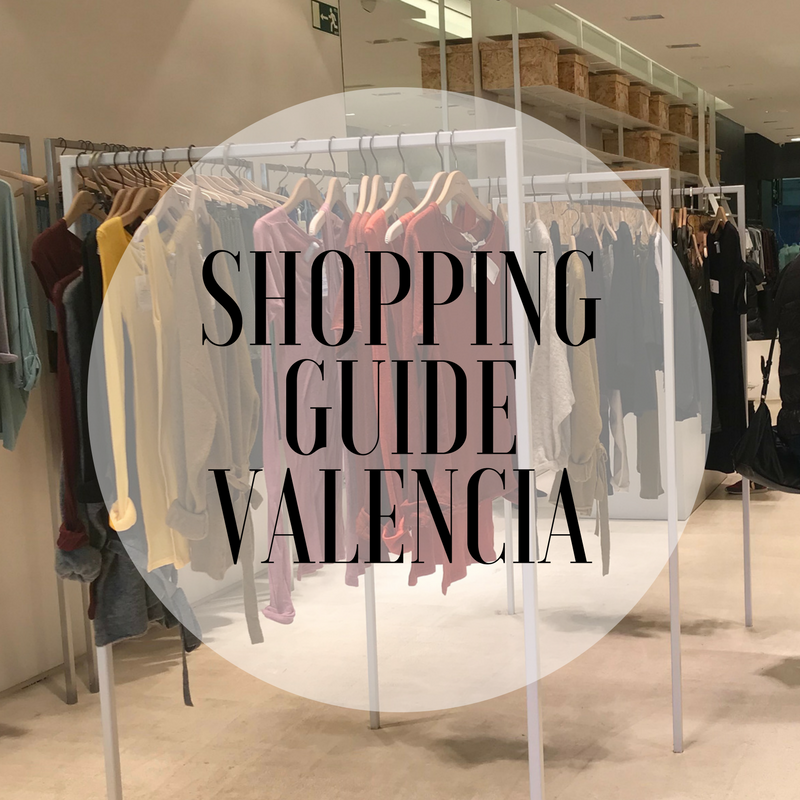 One of the cities in Spain that is best renowned for its shops is Valencia, that’s why shopping is definitely a must when you are visiting the city. To help you out a little bit, I made an overview of the shopping areas. Calle de Colón is the biggest and busiest shopping street in Valencia. On both sides of the street you can find the well-known fashion chains like Zara, H&M, Mango, Pull & Bear etcetera. Besides you can find some electronic stores like Media Markt and Apple Store and cosmetic stores like Rituals and Lush. 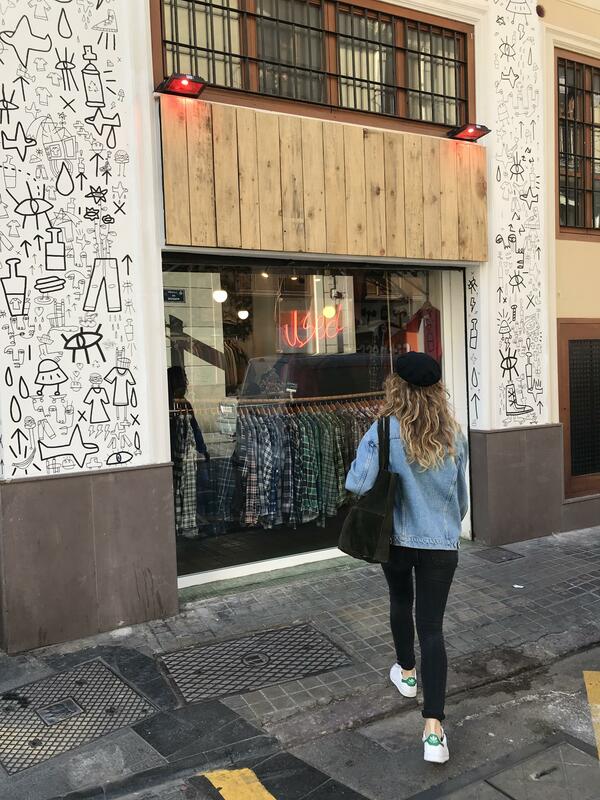 Smaller shops and boutiques can be found in the side streets of Calle de Colón. Shops in Calle de Colón are open all day from 10:00 until 21:30 o’clock. Keep in mind that some stores open a few hours later on Sundays. The most exclusive shopping street of Valencia is calle de Poeta Querol. 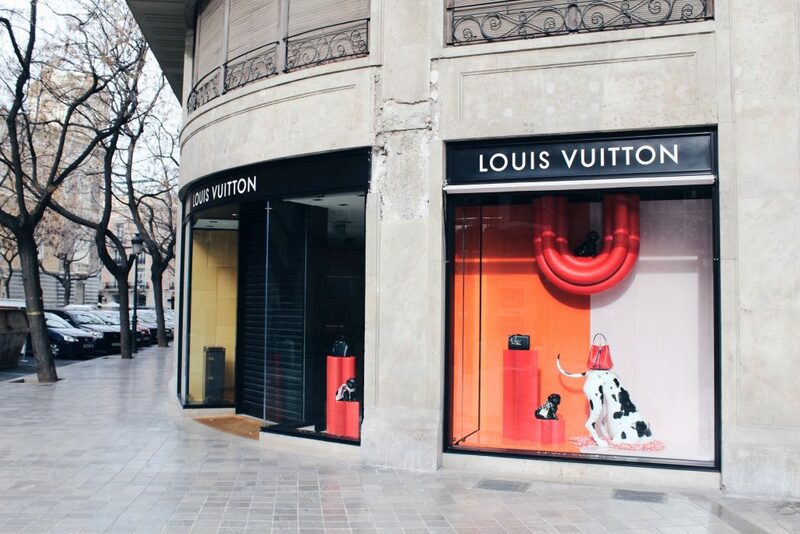 The street is filled with stores from luxury brands such as Louis Vuitton, Loewe and Boss. You can also find beautiful buildings and chic restaurants and terraces like Le Marquis and Cool Bar VLC. Besides chic stores and restaurants there is a beautiful palace from the 18th century. It looks amazing from the outside, but it’s also worth to go inside to see the beautiful rooms of the palace and the ceramics museum on the top floor. Do you feel thirsty after shopping? Close to Poeta Querol you can find a lovely square named Plaza Patriarca with some nice terraces. The opening hours of the stores in calle Poeta Querol are all different. Therefore I recommend to check their websites. Close to the beach and the City of Arts and Sciences you van find the shopping centre Aqua. On the first two floors you can find stores like Zara, Mango and H&M, but also stores like Levi’s and Guess. On the third floor you can find famous restaurant chains like La Tagliatella, McDonalds and Foster’s Hollywood. And on the upper floor you can find some coffee bars like Häagen-Dazs and Jamaica, a cinema, sports and spa center and a hotel. From this shopping centre you have spectacular views on the City of Arts and Sciences. Centro Comercial Aqua is open every day from 10:00 until 22:00 o’clock. Only on Sundays the opening times are different: 11:00 until 21:00 o’clock. Also close to the City of Arts and Sciences you can find the shopping centre Saler. Centro Comercial Saler is even bigger than Centro Comercial Aqua, with more stores, more restaurants and even a supermarket. Shopping Centre Saler is open every day from 08:00 until 02:00 o’clock. Only on Sundays the opening times are different: 09:15 until 02:00 o’clock. Close to the neighborhood El Carmen and the Turia Park you can find the shopping centre Nuevo Centro. This shopping centre is comparable with El Saler. Nuevo Centro is open every day from 10:00 until 22:00 o’clock. Only on Sundays the opening times are different: 11:00 until 21:00 o’clock. If you want to shop in a department store you can best go to El Corte Inglés. They have a very wide range of designer cloths, shoes and accessories. Furthermore you can find a wide range of perfume and cosmetics. 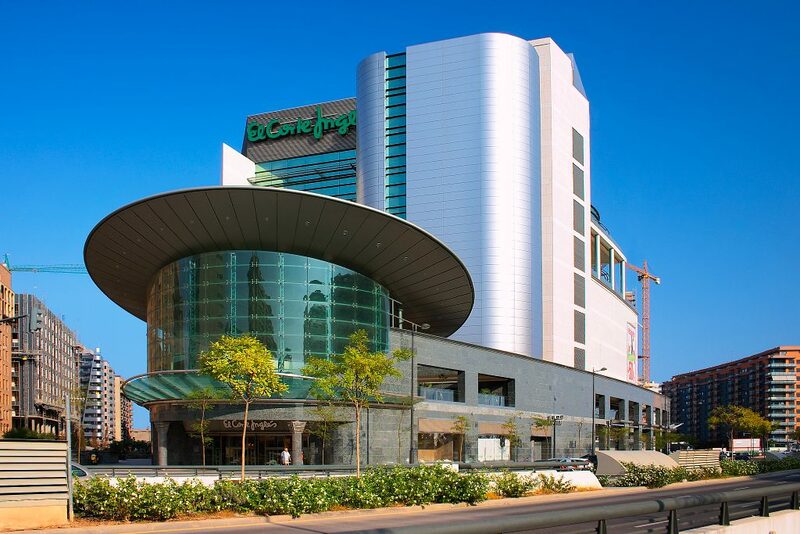 El Corte Inglés is open every day of the week from 10:00 until 22:00 o’clock. Only on Sundays and Mondays the opening times are different: 11:00 until 21:00 o’clock. 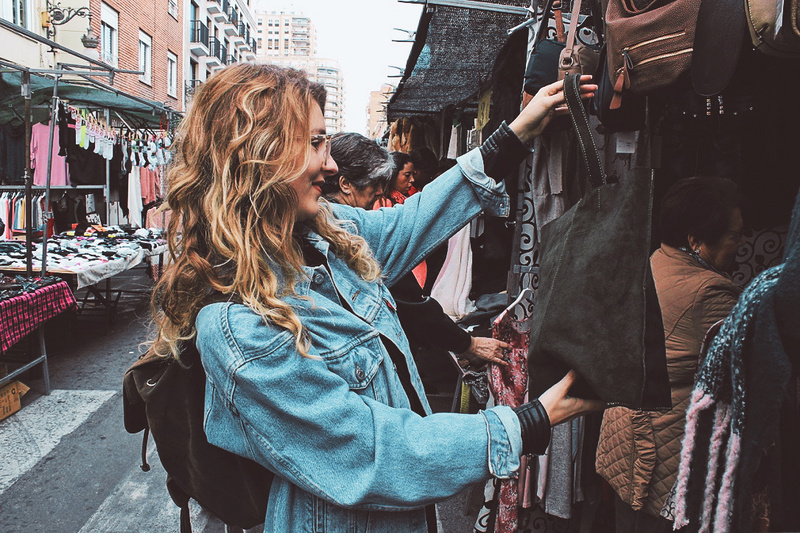 Boutiques, cool concept stores, vintage shops and nice gift shops can be found in the neighbourhoods Canovas, Ruzafa and El Carmen. Be aware that these shops close in the afternoon from about 14:00 until 17:00 o’clock. Canovas is known as the chic area in Valencia with quite expensive apartments, restaurants and shops. The famous shopping area in this neighbourhood is around the Mercado de Colón. A boutique that I really like is: Ese o Ese. 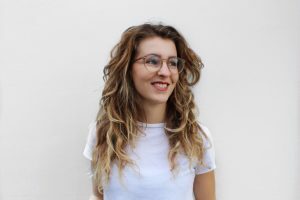 They sell beautiful clothing, accessories and jewellery for woman. The neighbourhood Ruzafa is known as the trendiest district of Valencia. You can find a lot of bars and restaurants and cool shops and concepts. For example vintage stores like KAUF and Paranoid, cool gift shops like Gnomo and diseño 43 and tea shops like D Tes and Biosofia. Do you feel like drinking a coffee after shopping? 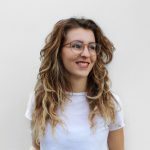 Read my post: ‘8 x the best coffee bars in Ruzafa‘. The district El Carmen is also a trendy district. 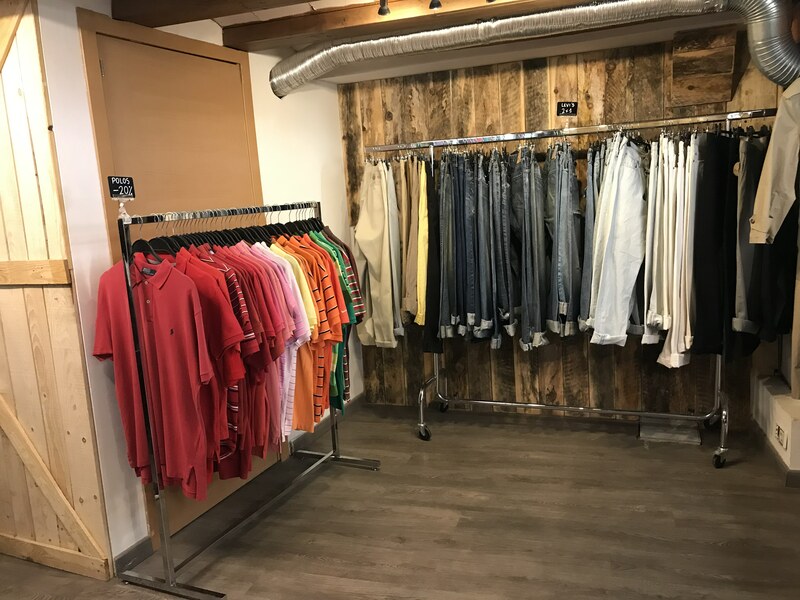 For vintage clothing you can go to San Spirito Vintage and Used Vintage Valencia, a nice boutique with fashion for woman with an affordable price is Kaif and you definitely have to go to Mercado de Tapineria. Mercado de Tapineria has 3 shops that change their concept every now and then. You can find decoration, art, fashion and accessories. The Central Market or Mercado Central is the largest covered food market in Europe. It is a very beautiful building where all conceivable types of food can be found, such as fruit, herbs, bread, fish and meat. Mercado Central is open every day from 07:00 until 15:00 o’clock, except for Sundays. Mercado de Ruzafa is the food market of the well-known Ruzafa district. When you walk around the building you can see that each side has a different colour. The four colours of the façade are due to the variety of products that are sold at the market. The building is one of the newest markets in the city, built in 1957. Mercado de Ruzafa is open every day from 7:00 until 15:00 o’clock, except for Sundays. This market actually doesn’t belong to this list, because it is no longer a food market. The shopkeepers were unable to pay the rent at the time, so they decided to make it a gastronomic place with coffee bars and restaurants. It is a beautiful building which is surrounded with nice boutiques, so it is definitely worth going there. Mercado de Colón is open every day from 7:30 until 2:00 o’clock. Market of the district Algiros – from 09:00 to 14:00 o’clock at Plaza San Felipe Neri, Actor Llorens, Rugat, La Pobla de Farnals and Luis Milán. 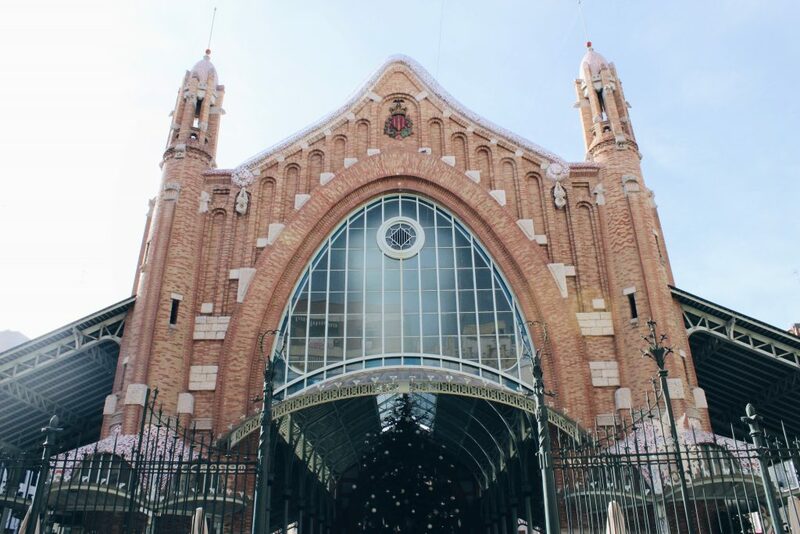 Market in the centre of Valencia – from 9:00 to 14:00 o’clock at Plaza del Mercado, Palafox, En Gall, Avenida Barón de Cárcer y Calabazas. Market of the district Ruzafa – from 09:00 to 14:00 o’clock in Calle Barón de Cortés, Padre Perera, Dr. Serrano, Carlos Cervera, Cura Femenia, Dels Tomassos, Seville y Denia. Market of the district Benimaclet– from 09:00 to 14:00 o’clock in Calle Onda, Carpinteros y plaza Alborache. Market of the district Cabanyal– from 09:00 to 14:00 o’clock in Calle Justo Vilar, Marino Sirera, Vicente Brull, Avenida Mediterráneo, Cruz del Cañamelar Square, Rosario, Martí Grajales and Juan Mercader y Luis Despuig. Market of the district Benimaclet – from 09:00 to 14:00 o’clock in Calle Sant Espirit, Juan Giner, Utiel, Murta, Reverendo Rafael Tramoyeres. Market Malvarrosa – from 9:00 to 14:00 o’clock at Calle Berenguer de Montoliu y Lanzarote. Market of the district El Carmen – from 09:00 to 14:00 o’clock in Mesón de Morella and Plaza Mossén Sorell. 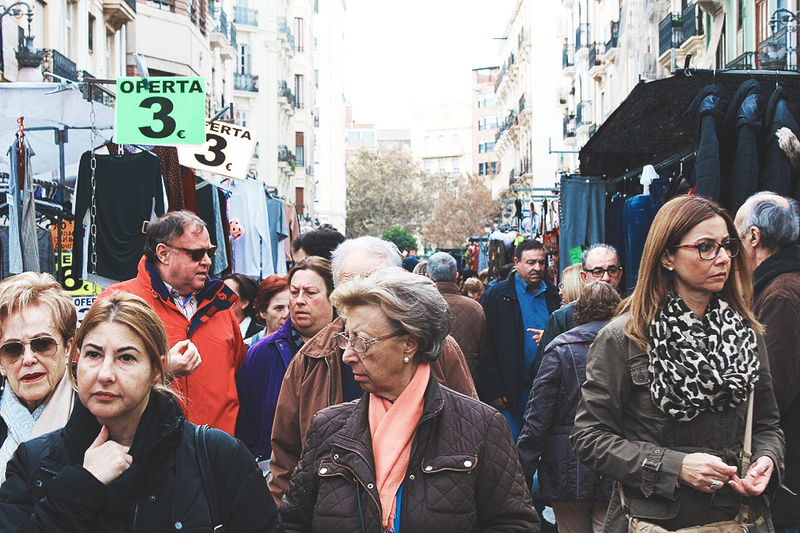 Market Rastro de Valencia – from 9:00 to 14:00 o’clock at Plaza Luis Casanova. Market Plaza Redonda – from 08:00 to 14:00 o’clock at Plaza Redonda. I wish you lots of shopping pleasure in Valencia!